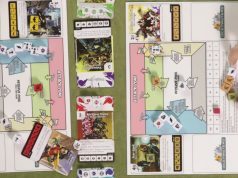 Home Blog Interview with Headup Games CEO Dieter Schoeller. 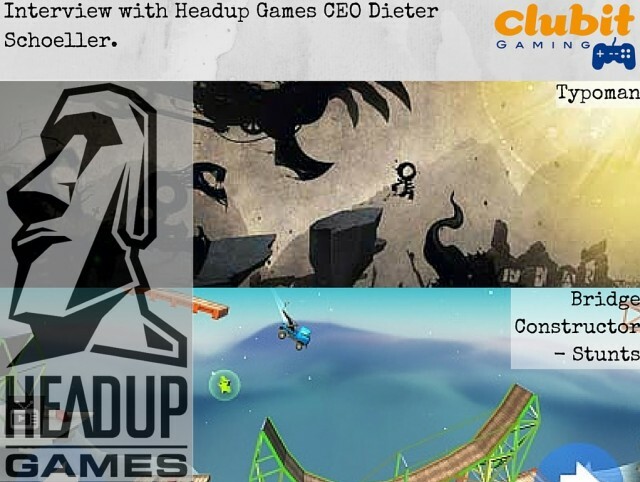 Interview with Headup Games CEO Dieter Schoeller. We were fortunate enough to ‘almost literally’ bump into Dieter Schoeller Founder and CEO of Headup Games at EGX 2015. He was there to showcase the newest Bridge Constructor title, ‘Bridge Constructor Stunts’ and a fascinating new game called Typoman. Headup Games were founded by Dieter in 2009 and have since published plenty of innovative, addictive and beautiful games for Windows, Mac and Linux. 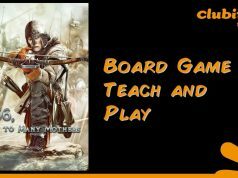 They have scooped prizes for ‘Best German Publisher’ in 2012 and 2013 as well as a Quo Vadis award in 2015 and a Game Connection Award, also in 2015. So, Bridge Constructor Stunts takes that sanguine gameplay of designing and building bridges to provide enough load bearing integrity to transport your vehicle(s) to the other side. And, well screws it up and launches it high and wide! 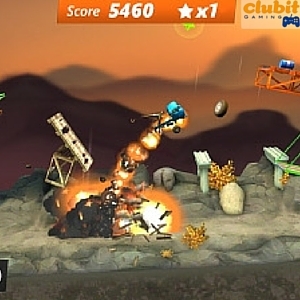 This is like the Extreme version of Bridge Constructor. With the series garnering in excess of over 35 million players I suppose it was time to freshen things up. New gameplay features for BC Stunts bring a more refined and streamlined building control system. This allows players to build their structures more efficiently and get on with trying them out! The notable change in BC Stunts from legacy BC titles is that the player now takes responsibility for controlling the vehicle. Both on the ground and also in mid-air! 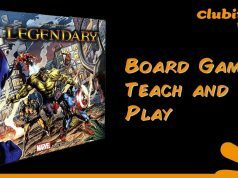 So the game still requires that compulsive problem solving aspect which has bolstered it’s popularity over the years, as well as adding some real-time hand eye control in too! The other game which Dieter was keen to talk to us about was Typoman. This for me was probably one of the luckiest of happenstances to come out of EGX. I’d researched a lot of games prior to popping down to the NEC in Birmingham. And naturally aimed for the ones which had caught my eye. How Typoman passed-me-by in all my ‘Holmes-esque’ delving I don’t know. But it did. Maybe it was the fact that as an avid dodger of sudoku puzzles and crosswords, the premiss of a game which uses words and, anagrammatic principles to progress through the levels would make me scuttle away muttering expletive derision. The beautiful Typoman: Solve anagrammatical puzzles to progress through the game! I couldn’t be more wrong about Typoman. 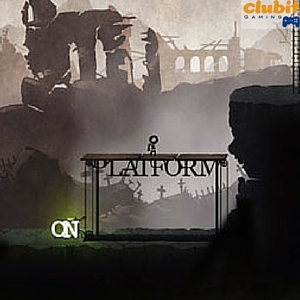 This wonderful puzzle platformer is developed by the delightful Brainseed Factory. I can’t stop watching the trailer video. I just keep popping back to it, it’s gorgeous! I should mention that i’m a big LIMBO fan. And, Typoman definitely projects some of that simple beauty but in a slightly different way. 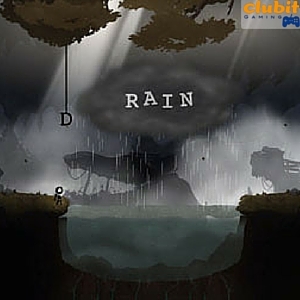 Like LIMBO it’s a 2D platformer with a detailed cartoon like aesthetic, punctuated with beautifully glowing scenic elements. The protagonist of Typoman is little HERO. (Yes he is composed of the letters H.E.R.O!) Also, it kind of reminded me in certain aesthetics, of Coatsinks game, Shu. The ACTUAL way in which you play with the words to solve puzzles I think is genius. The example which Dieter mentions is, that you may need to activate a platform to progress. However the activation point currently is set at NO. Can you spot the clue in how to solve this puddle… Err, sorry puzzle? So you need to spot this opportunity to flip this round, once you’ve done this it spells ON and, presto the platform ascends and HERO can march on through the game! I simply can’t express how much of an impression this game has made on me with regards to the continuing creativity shown in platform games and the massive range of gameplay creativity! The only problem for me is that Typoman is a Wii U exclusive game. I don’t have a Wii U. I’m not going to go as far as saying that this game will be the sole reason I buy a new console. However, it’s certainly planted the seed of thought, which I’m guessing is the point! Typoman’s release date is still to be confirmed on the Nintendo Site. However, as I’m sure you can imagine, I will be keeping a very close eye on this one!